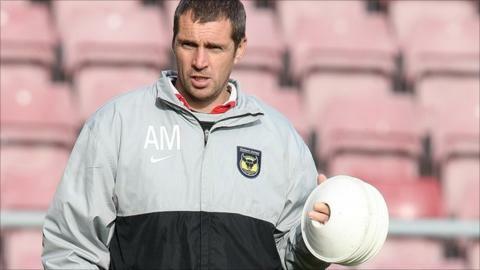 Oxford United's first-team coach Andy Melville has left the club after resigning from his position. The 45-year-old former Wales defender had been part of the coaching set up at United since 2009, having previously made over 150 appearances for the club. "I now feel that the time is right to move on," he told Oxford's website. "I am sad to be leaving but I know the club is in good hands and hopefully there are exciting times ahead for both myself and Oxford United."